Please come on over and keep reading! 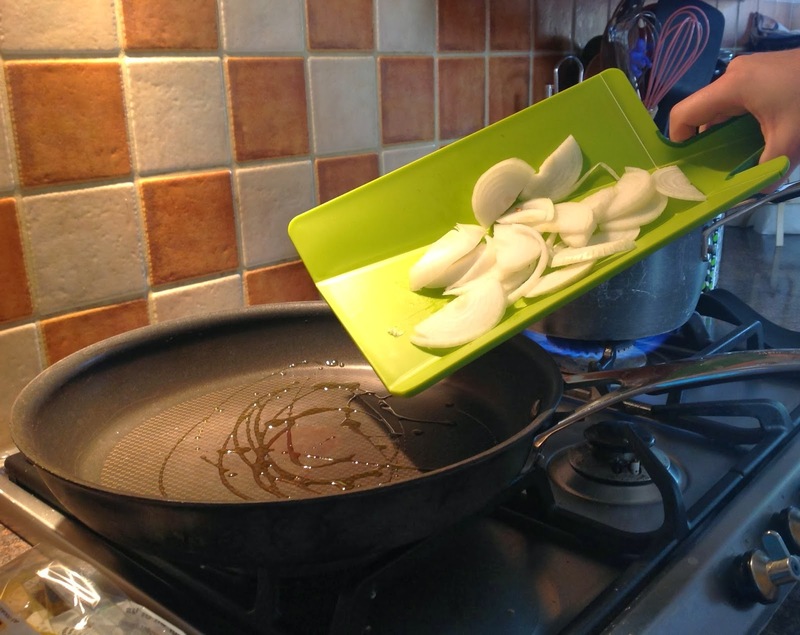 Did you know that chopping your vegetables and adding them to your pots can be made easier? I had no idea either until the lovely people at www.findmeagift.com offered to send me a Chop2pot by Joseph Joseph to try. 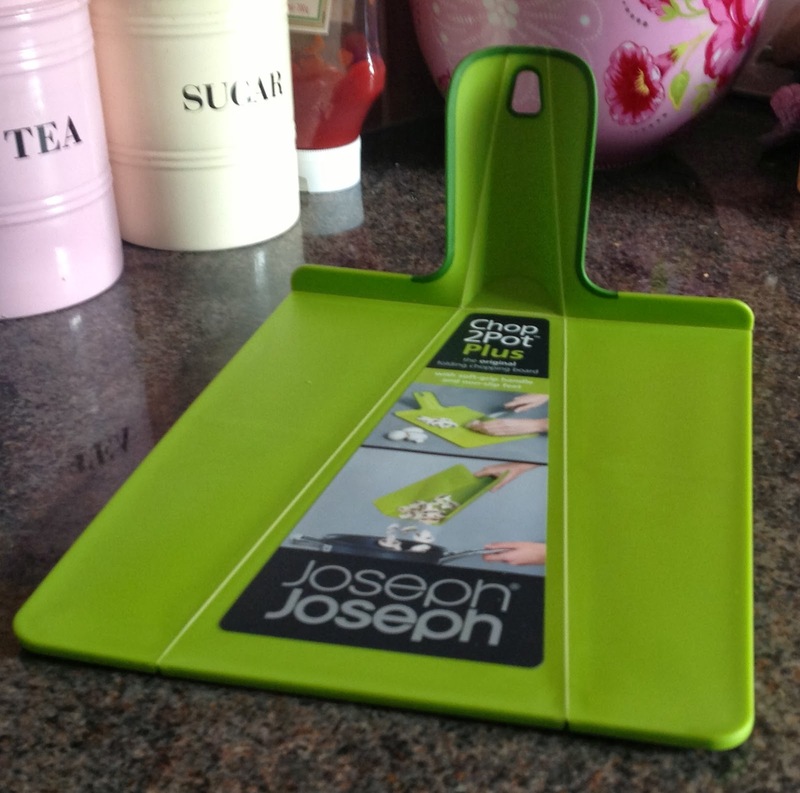 The idea is simple...it's a chopping board which folds up into a scoop shape, meaning you just pick up the board and easily transport your ingredients. So simple, yet no-one else has thought of it. It's a new favourite in our household! The Yolk Hero is the solution for those of us who always seem to end up with a bit of shell in our cake mixes when separating eggs, or whose yolks just seem to drop into those carefully separated egg whites. 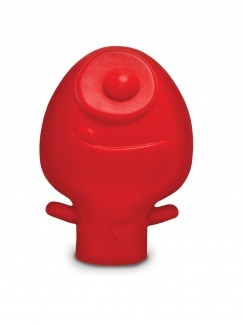 It's a fun little fellow, perfect for brightening up your kitchen gadget drawer. So enter the competition below for a fun, mess free way to separate your yolks. The Laughing Cow has recently launched a new range of light cheeses targeting those with a more selective cheesy palate - Light Emmental and Light Blue Cheese. There are few things which aren't improved with a touch of cheese - from pasta and sandwiches to salads and soups and these squares are not only light in calories, but so easy to use. If you are watching your weight or just love cheese a little bit too much, these are the perfect solution to adding creaminess to dishes without the added calories. The Emmental had a soft but distinctively nutty flavour, while the blue cheese, although it didn't look blue at all, definitely had a hint of Cropwell Bishop or Stilton in the flavour. These really are a fantastic fridge staple - for kids and big kids! A great recipe, very indulgent and delicious. I didn't use any chocolate in the icing, as felt it was already pretty packed full of white chocolate, and I don't think you'd notice the difference...but apart from that I followed it exactly. 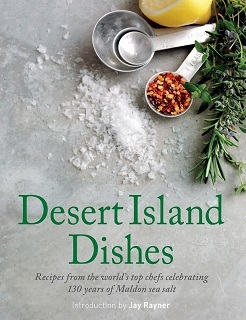 Thanks to the Maldon Salt team, I had a great cookbook to review this month - Desert Island Dishes. The book was launched this year to celebrate 130 years of Maldon Salt and has recipes from the World's Top chefs including Rick Stein, Albert Roux, Jason Atherton, Gary Rhodes and many many more and with a foreword by Jay Rayner. Big names showing their love and versatility of Maldon salt. Maldon is a top pick for chefs, and even for home cooks like myself. Nothing really compares - the all natural flakes really do just taste better and add extra flavour to all your dishes. The cookbook takes you through a variety of recipes which all feature salt (obviously) but which vary in ease - meaning there is something for everyone. Recipes vary from the pretty simple to follow, to a little more advanced, but of course, all contain the very important ingredient - Maldon Salt. London has gone burger mad. From Shake Shack to Five Guys, there seems to be a new burger place opening every day. But sometimes, it's good to go back to a classic. Byron Burger has been a fixture on the London burger scene for a good few years now and there's one reason for that...It does burgers well. The only slightly disappointing thing is that, as we all know, we are a cider making nation and the very best cider is on our doorstep - Herefordshire or Somerset ciders can't be beaten...yet Byron import an Australian one?? Think they need to review that one! All content on this blog is copyright of Anoseforfood and may not be reproduced without permission. Awesome Inc. theme. Powered by Blogger.